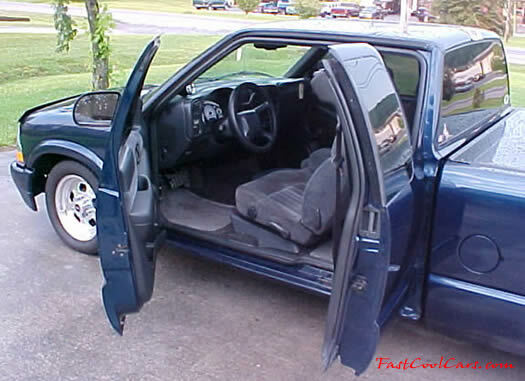 2000 Chevrolet S10 Extend cab - Three door, Low Rider - 4.3 V-6, automatic, white faced gauges, Sunpro tach. dark tinted windows, cool blue head lights, shaved emblems on sides and rear, billet aluminum antenna. Click Here for full custom page with many pictures.